Standard 3 Day Pass Now Available here! Cheaper than the door! Please be respectful and cool to all attendees and to all of the spaces. No hate. We’re all in this together. GTG FEST 2016 COMP IS LIVE!! GTG Fest 2016 is coming! October 7, 8, and 9 in Lansing. Check out a sampler of the artists playing at that thing up there. There’s a few new and unreleased things from GTG bands Carm, Drinking Mercury, The Plurals, Hat Madder and Hunky Newcomers (AKA Everybody Loves Ramones) on there in addition to a bunch of other solid jams. And follow this link for more info and to get a dank pre-sale package. Good times… coming soon! 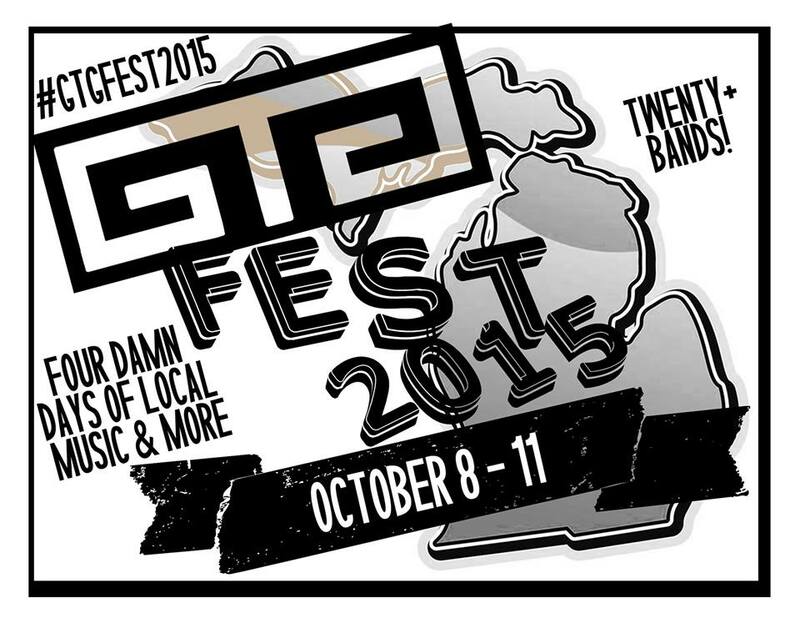 GTG Fest 2015: Oct 8-11! !